The programs can benefit inmates, but there's potential for exploitation, since companies typically pay far less for prison labour than they otherwise would. NEW YORK — Whole Foods will stop selling products made using a prison labour program after a protest at one of its stores in Texas. The company said the products should be out of its stores by April 2016, if not sooner. 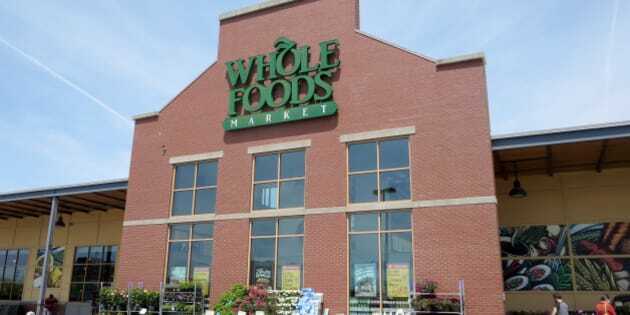 Whole Foods said it has sold tilapia, trout and goat cheese produced through a Colorado inmate program at some stores since at least 2011. But he said the company decided to end the practice because some customers were uncomfortable with it. The tilapia, trout and cheese in question come through Colorado Correctional Industries, a division of Colorado's department of corrections. On its website, CCI says its mission is to train inmates with skills and work ethics that help them secure employment after release. Dennis Dunsmoor, director of the program, said the program doesn't provide goods directly to Whole Foods, but that its partners do. He said inmates who volunteer for the program are paid 74 cents to $4 a day, and are eligible for performance bonuses as well. Inmate work is typically used for government needs, such as the production of license plates or office furniture for state agencies, said Marc Mauer, executive director of The Sentencing Project, and criminal justice research and advocacy group. But he said several states also have programs where prisons contract with private companies. Mauer said the issue is complicated; the programs can benefit inmates by giving them productive work and training in useful skills, but there's potential for exploitation, since companies typically pay far less for prison labour than they otherwise would. "Are companies doing it out of the goodness of their hearts, or because it's cheap labour?'' Mauer said. In the best case scenario, he said companies would pay prevailing wages to inmates in such programs. Michael Allen, a prison reform advocate, said Whole Foods informed him of its change in policy after he organized a protest at one of the company's stores in Houston this past weekend. Whole Foods Market Inc. is based in Austin, Texas. Although other companies sell products made by inmates, Allen said he thought it was hypocritical of Whole Foods to do so, given the image it tries to cultivate. "They say they care about the community, but they're enhancing their profit off of poor people,'' Allen said, noting the pay that inmates receive for such work. Representatives for Haystack Mountain Goat Dairy and Quixotic Farming, which say on their websites that they work with Colorado Correctional Industries, were not immediately available for comment. Haystack sells goat cheese and Quixotic sells tilapia. In its 2014 annual report, Colorado Correctional Industries said it employed more than 1,800 inmates, with the goal of doubling the program over the next decade. It said more than 80 per cent of inmates with at least six months experience remain out of jail a year after release, compared with the national average of 62 per cent. Whole Foods' sourcing of products made through inmate labour has been covered in publications including Fortune, Dissent magazine and Vice.